En-Place Foods is an artisan food production business based in Co Tyrone and we think they’re a bit like Heston Blumenthal because they’re always coming up with something just that little bit different! Paul Clarke & Phillip Brown’s food service products offer the professional chef working in a restaurant, hotel or catering environment the building blocks and meal accompaniments for creative menu development & they now supply some of the country’s top chefs. Their focus is on what they call retro-innovation in food. That means using modern kitchen techniques and flavour combinations to provide premium products which evoke a memory of the past. How clever! 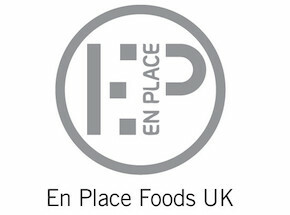 As well as production of their own multiple award winning products the team at En Place also undertake product development work for other artisans & start-ups, & supply wholesale ingredients for producers targeting the speciality food marked. Winners of more than 60 Great Taste Awards including “Ambient Food Product of the Year” & two products awarded membership of the “Top 50 Foods” from the British Isles.